Memory Box STITCHED SQUARE LAYERS Open Studio Craft Die MB30038 at Simon Says STAMP! MB30038 /1.9 This item is on reserve until If you would like to reserve this item now, you may purchase it now with the rest of your order. We will hold your order now and ship your entire order as soon as this item is back into stock. If you would like your order to ship now, please place this item on a separate order. 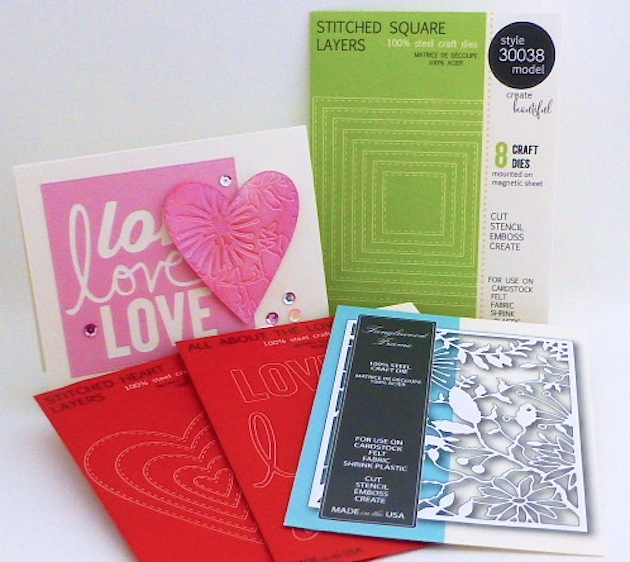 Success, Memory Box STITCHED SQUARE LAYERS Open Studio Craft Die MB30038 has been shared! The Open Studio Line includes color coordinated layering shapes. Works Great with Memory Box Open Studio Dies Studio Square Layers 30021, Shaker Square Frames 30030, Country Stitches 30046 and Stitched Country Borders 30042! Dies are mounted on a magnetic sheet.